This delightful characterization by artist Sarah Miele isn’t TOS, but it’s just so wonderful and a lovely tribute to Leonard, I had to post it! I can hear the Italian Food debate going on now! Like many around the world, I too have not been able to get around the reality that Leonard Nimoy is gone. I suppose it may be because he had been such an icon for so many generations before me that it seemed he would continue to be there. Forever. It’s sad, and now the absence feels strange. But like so many have quoted “he’s not really dead… as long as we remember him.”And I truly believe in that, which is why, in a way, I still feel he’s here. This was the piece I had put off for far too long for his fan club, the OLNFC. And upon hearing that he had been hospitalized urged me to finish it. I had hoped it to be in the March edition for his 84th birthday, but life doesn’t always wait around. Nothing grand, but just one of a few finished pieces. I have a whole bunch of random sketches from many of his movies and I hope to bring some of those out and post them. Thank you again, Leonard Nimoy, for making us believe, for giving us hope, and for being an inspiration. Sarah, I couldn’t have said it better. Thank you for this beautiful piece — I bet Mr. Nimoy would have loved it. 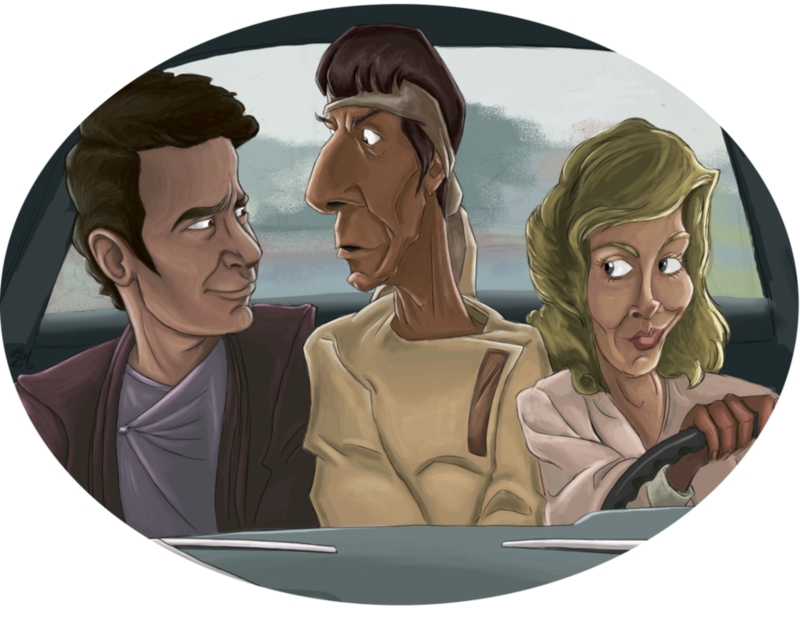 This entry was posted in Fan Art Fridays (FArFri), Leonard Nimoy and tagged Italian, Jillian, Kirk, Spock, Star Trek IV. Bookmark the permalink.